WiFi networks are so commonplace these days that most households have at least one network set up. Gone are the days when it required a lot of tech knowhow to set up such a network, because newer routers are basically plug and play and you hardly need to do anything. But the problem here is that when they’re just plugged in, not only you can access the internet, pretty much anyone else can. This not only might cause you to cross your bandwidth limit, but also opens up your devices to hacker access. Securing your wireless networks prevents all of this so you can have peace of mind. Fortunately it’s not a very difficult task and pretty much anyone can follow the tips and guidelines here. When your router is first set up, the network name or SSID is usually named after the manufacturer like “linksys”. Make sure to go into router settings via the default IP address, which is usually either 192.168.0.1 or 192.168.1.1 and change the SSID to something other than the default name, whatever you like. While this doesn’t exactly protect your network, it makes it easier to be identified and doesn’t give the impression that the person who set it up is a novice. The most common way to secure your wireless network is by setting up a network pass key. This allows only people who know the password to use the network. But that’s just half of the work done. Apart from the network pass key, there’s also something called network encryption of which there are 3 types, WEP, WPA and WPA2. 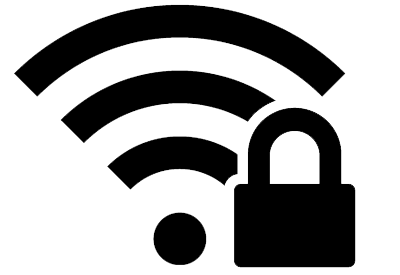 The former two protocols are less secure and more likely to be bypassed, so make sure to set the encryption to WPA2. Unless you have devices using the WiFi network older than 2006 or so, you shouldn’t have problems connecting. By default, all router settings, which include the all important network pass key, encryption and the like are easily accessible. So even if you’ve set up a password for the wireless network, it can be changed since the router username is something generic like “admin”. There is an online database with the default usernames and passwords for routers from all manufacturers, so it shouldn’t be too difficult figuring out what it is. Make sure to change this password so that only you can change important router settings. When we’re talking about security it’s not the first thing that comes to mind, but updating your router’s firmware can also secure the wireless network. These updates usually fix bugs and patch security vulnerabilities so keep the firmware up to date. It doesn’t hurt that there might be performance improvements as well. By disabling remote access to your router and only allowing important settings to be changed via a LAN connection, it makes it more difficult for people using your network or those trying to break into it to change important settings and hack your network. So basically, no one connected wirelessly to your network will be able to mess up anything. Finally, by setting up MAC address filtering, you can make sure that only known devices connect to your wireless network, thus making it more secure. Every device has an unique ID called a MAC address. Routers have the option to let only certain MAC addresses to connect, so that’s an added layer of protection. It’s possible to clone MAC addresses as well, nonetheless this is a very good way to protect your wireless network. Following these simple tips and guidelines can make it more difficult for unwanted people to connect to your wireless network, even though nothing is completely foolproof. Feel free to ask any doubts or let us know if you have any queries about securing your wireless network. What a great post. It is really very helpful. I have also written a post about How To Keep You Safe on a Public Wi-Fi. The post is on Yahoo.com.